A sluggish, yet precise robot designed by Japanese engineers demonstrates what construction sites might look like in the future. 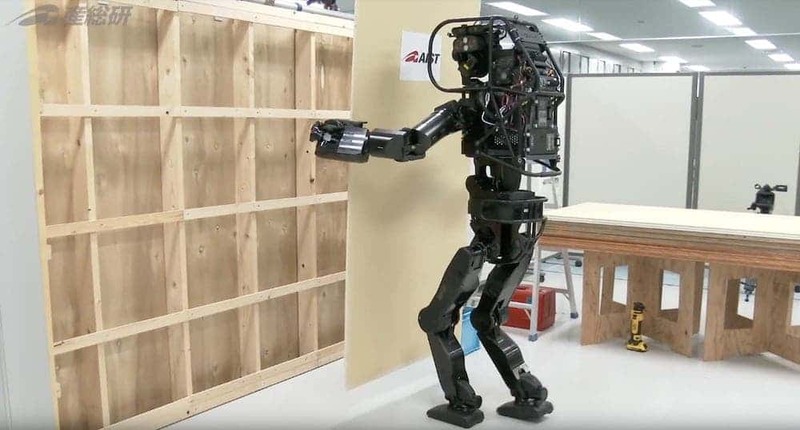 The prototype developed at Japan’s National Institute of Advanced Industrial Science and Technology was recently featured in a video picking up a piece of plasterboard and screwing it into a wall. The robot, called HRP-5P, is much less productive than a human worker. However, its motions are very precise, meaning that this prototype could evolve into a rugged model that’s apt for real-life applications in demanding fields such as constructions. While most manufacturing fields are being disrupted by automation, with robots doing most of the work in microchip plants or car assembly lines, supervised by human personnel, the same can’t be said about construction. This field is way too dynamic — with every project being unique — and filled with all sorts of obstacles that are too challenging for today’s robots to navigate. HRP-5P, however, suggests that automation could one day become feasible in construction works as well. For Japan, construction bots are not meant to put people out of jobs, but rather to supplement a dwindling workforce. There’s a great shortage of manual labor in the island state, which is suffering from declining birthrates and an aging population. Previously, a New York-based company demonstrated a mason-bot capable of laying down 3,000 bricks a day — six times faster than the average human, and cheaper too. Elsewhere, such as at MIT, researchers are experimenting with 3-D printing entire homes in one go.